Well maintained & professionally operated 10 bed assisted living facility. Highly trained staff provide exceptional care. 3BR 2BA home at the end of a cul de sac in beautiful Ormond Lakes. Soaking tub, his/hers vanity, walk in closets in master suite. 2BR 2BA condo on 4th floor, corner unit. Ocean & Intracoastal views. Indoor & outdoor pool & Publix across the street. Over sized master BR & walk in closet. In unit laundry. 3BR 1.5BA home has been renovated from top to bottom & is essentially a new home. Just minutes to the famous St. Johns River. 2BR 2BA condo located in desirable Ponce Inlet right across the street from the ocean & Winter Haven Park. Remodeled 3BR 2BA pool home. Granite counters, new appliances, new AC, new floor coverings. New paint throughout. 3BR 2BA updated traditional ranch home w/huge private pool. Entire parcel is completely fenced w/soaring oaks. No HOA. 3BR 2BA home nestled under an oak canopy in desirable Tomoka Oaks. Whimsical artistic touches throughout. 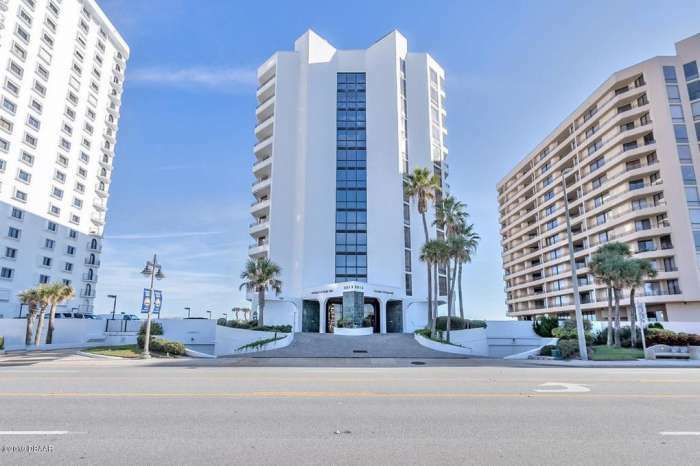 2BR 2BA direct oceanfront condo. New AC, water heater, stove & Refrigerator. 2 parking spaces underground. 3BR 3BA lakefront home w/beautiful private pool, movie theater room, great room w/wood burning fireplace wet bar & so much more. 2BR 2BA home,. 1957 built coastal ranch w/gleaming oak floors & a wall of glass provides long range panoramic views of historic Oceanside Golf Course.